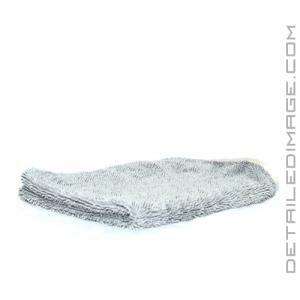 The DI Microfiber Terry Weave Towel is a versatile towel, designed to tackle any detailing step with minimal effort! As a detailer, we all know our collection of towels is always expanding. We have certain towels we just love for one certain detailing step, but few do we keep around for almost anything. The DI Microfiber Terry Weave Towel is that towel that can be used for anything you desire! 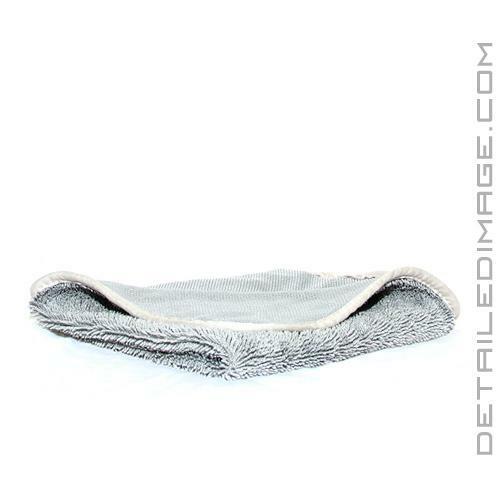 The secret is in the high quality terry weave design, which makes this towel extremely durable, yet soft and safe. Use it on your paint, glass, interior, fabrics, leather, plastics, etc. The list goes on and on and removing any product, sealant, wax, polish, or applying instant detailers, cleaners, etc. will be incredibly easy. While it does everything well it's absolutely incredible at safely removing excess polish or wax from your paint. You'll notice less wiping and better results! This towel comes in three great sizes for you to choose from as well. If you are looking for that one towel that does it all, pick up the DI Microfiber Terry Weave Towel, you will not be disappointed! Awesome towel, perfect for drying your entire car. It is highly absorbent and comparable in size and material to Griot's PFM towel. Makes me want to switch over from waffle weave entirely. I bought this instead of the Griot's Garage PFM towel as its price point is considerably less. The DI terry weave towel is mainly a one sided towel and it comes with a sticker label that peeled off easily not leaving any evidence behind. It%u2019s a soft plush feeling towel. I did not wash it before using and am blown away by its absorbency. I dried the whole car, Honda Accord, in a matter of minutes. I tossed it over the top open and simply dragged it across, pulling all the water off, tossed it back over and pulled again. Continuing around the whole car and wiping along the sides last. The towel by now was heavy with water and I did have a bit of trouble getting the water wrung out. Maybe it was just thirsty for more. I had a small problem but it was my own fault. I picked a couple of the material loops while drying around some bad door seals and at a piece of trimwork. I laid the towel out across a boxwood in the sun to dry while I moved the car and started working on my Grand Cherokee. This car too dried just as easily using the same technique. I have several waffle weave towels and this puts them to shame. I can%u2019t wait to purchase a few more. If the Griot's Garage PFM towel is any better I couldn%u2019t stand it. I'm a little skeptical on using this towel on the paint! I feel like it will marr it. I would mostly use this on glass instead of paint!